When my wife, Louise Marks, moved her elderly mother to Colorado in 2005, she found a photo album under a bed in a spare bedroom of the family house in Los Altos, California. It had apparently been there since the 1950s, put there by Louise’s father, Vorras Elliott. We think there may have been some pictures of old girlfriends he didn’t want Louise’s mother to see. We’ll never know. 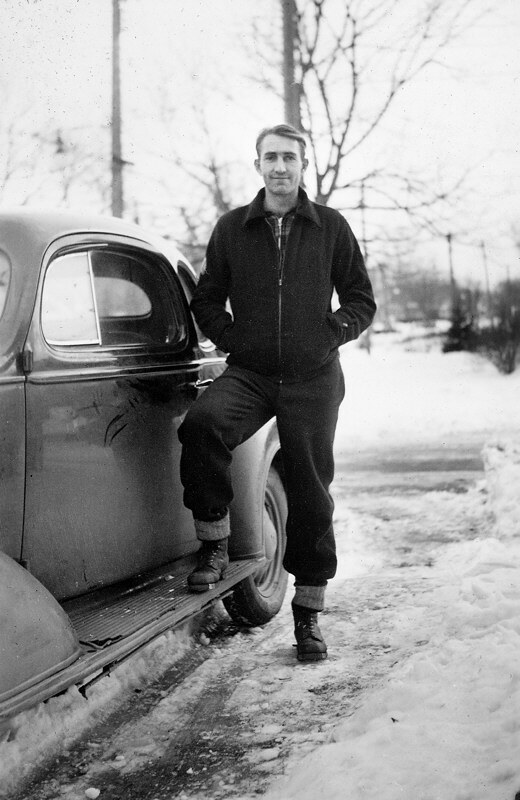 The pictures were taken in the 1930s, when Vorras was starting his career as an engineer at General Electric in Schenectady, New York, living a house with four roommates. 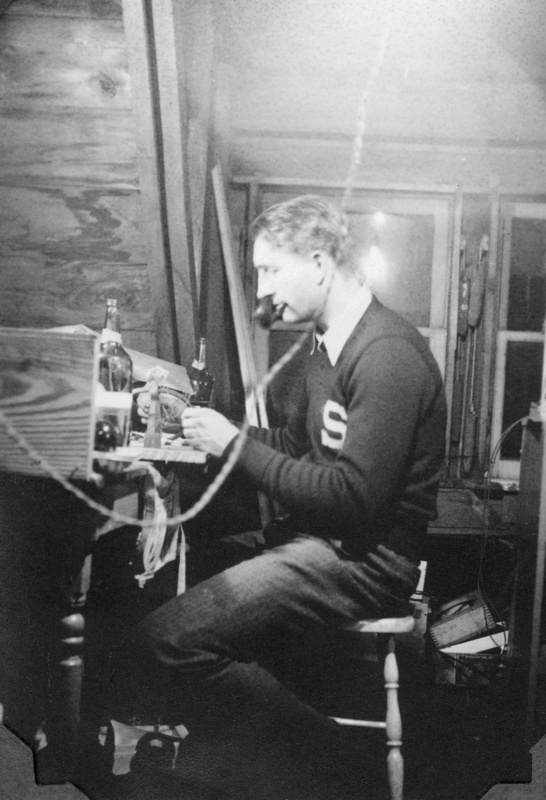 One of Vorras’ roommates, David Packard, loved to tinker with electronics. Here is photo of him working in the attic. It looks like he’s winding an inductor around a recycled liquor bottle. He dreamed of starting his own company. He told Louise’s aunt that he was only at GE to “learn how they did things”, and that he didn’t plan to stay long. David Packard tinkering with electronics in the attic. This image deserves to become iconic. Click on the image to view it full-sized. One day the landlady discovered his equipment. She thought it would blow up the house, and she evicted them immediately. They had to find another house the same day. Neither the landlady nor anyone else could imagine that this tinkering would lead to the creation of Silicon Valley as we know it. In those days it was known as Santa Clara Valley (still its proper name), and it was renowned for its fruit. 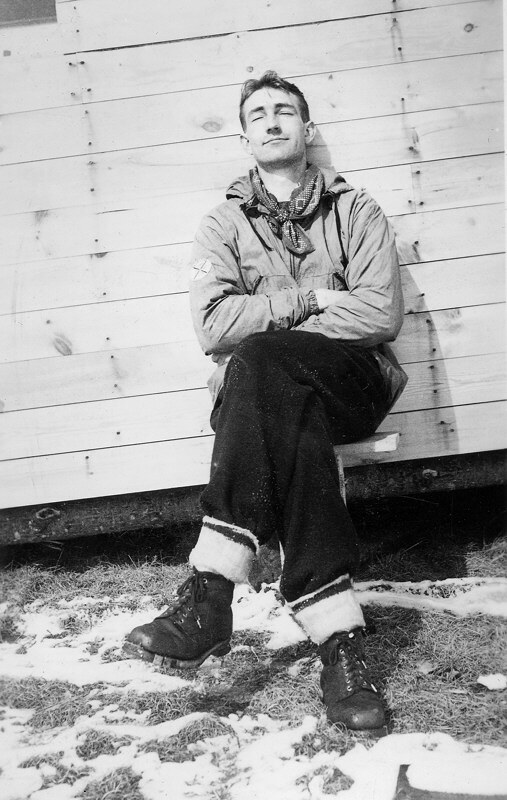 In August 1937 David did something unimaginable. He took an unpaid leave from his relatively secure job at GE, packed his belongings in his car, and headed west on a journey that would become as much a defining myth in modern America (even to many who don’t know the story) as The Odyssey was in ancient Greece. And if you think that’s hype… well, I can’t help myself. Hype is short for hyperbole, another legacy from ancient Greece. It took real chutzpah to leave GE because jobs were extremely scarce at that time, which was the height of the great depression— the hardest time the United States has had to face in the last century. How scarce? I have a friend whose father was rejected for the same job at GE despite graduating at the top of his class at MIT. It turned out to be a blessing in disguise. He went on to get a PhD at Oxford, help develop the radar system that saved London during the blitz, found the Aerospace Corporation, invent the GPS, and serve as president of IEEE. A distinguished enough career (I’d hire a guy like that if I could afford him), but he didn’t make the cut at GE. Those were really tough times. David settled in a sleepy college town on the San Francisco peninsula called Palo Alto, where he’d gotten his undergraduate degree. Once he settled down, David and a friend did something really outrageous. They rented a garage to start an electronics company. Now you may think that’s commonplace, but nobody had ever done it before. They were the pioneers (and they managed to dodge the arrows in their necks). 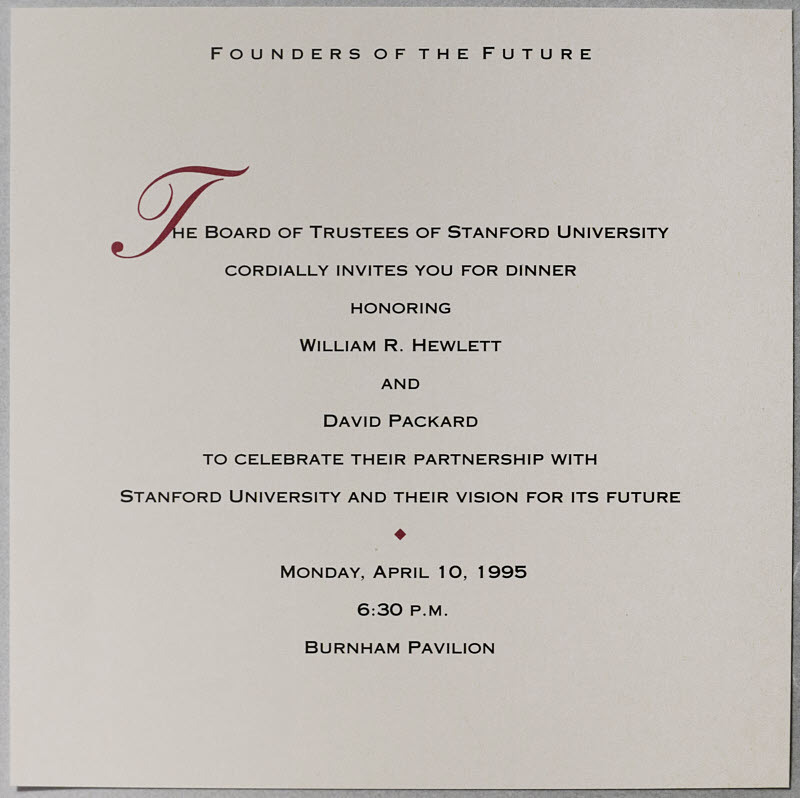 David lost a coin flip for naming the company, so they called it Hewlett-Packard. The rest, as they say, is history. There were some other interesting photos in the album. I find the following image to be a fascinating character study. What strikes me about this image is the complete lack of self-doubt or angst— traits that were fashionable among east coast intellectuals when I was young and psychoanalysis was in vogue (think Woody Allen). Psychoanalysts don’t have a category for healthy personalities like this because they never cross paths. They inhabit different planets. A few months after David and Bill started their company, Vorras crash-landed his small plane into an orchard just after taking off (as far as I know he wasn’t injured). David and Lucille (by then his wife) wrote this letter to Vorras and Marlene. Click on it for a larger, readable image with both pages. 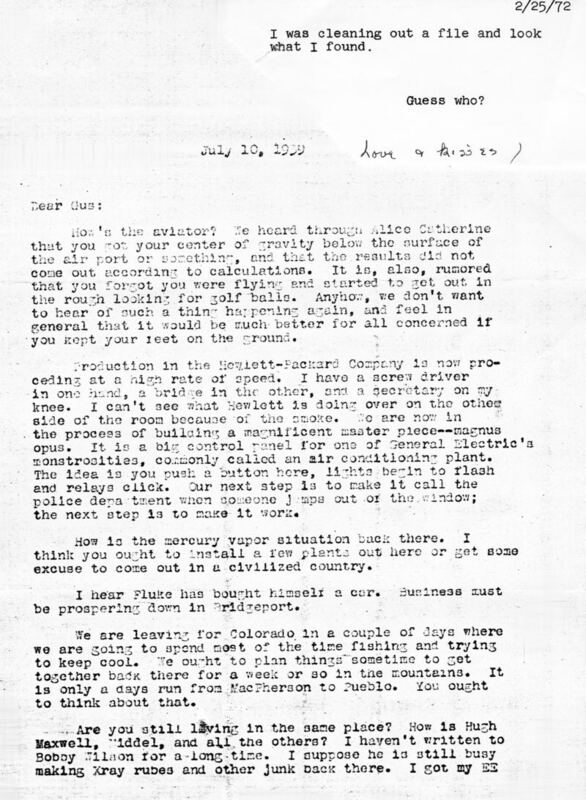 Letter to Vorras and Marlene Elliott from David and Lucille Packard, July 10, 1939. Click for a larger, readable image with both pages. Here is an image of Louise’s father, Vorras Elliott, David Packard, and a third roommate (I think it’s Hugh Maxwell, who left engineering to become a real estate developer). 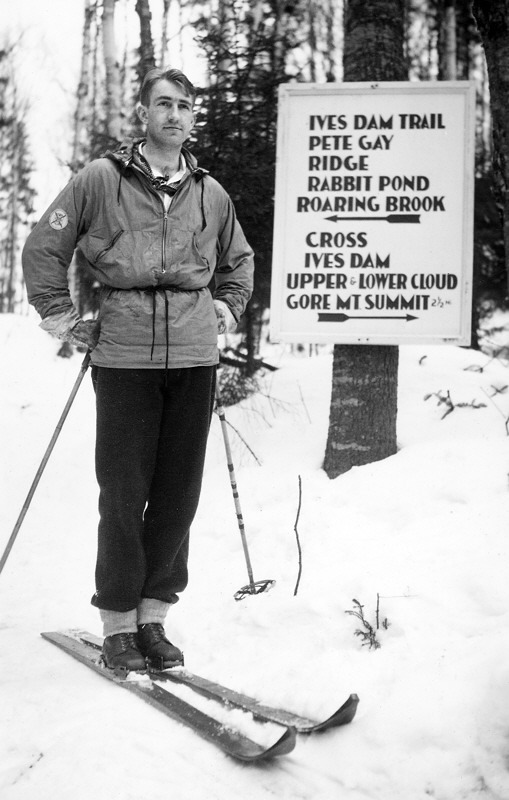 David Packard skiing. His picture is in his autobiography, The HP Way (not as well reproduced). Iconic images are images that stick in our mind— that have symbolic significance beyond their mere pictorial content. Two good examples are Che Guevara and Uncle Sam. Che symbolizes the free spirited revolutionary to some and a tyrant to others Similarly, Uncle Sam symbolizes American patriotism or American imperialism— take your choice. Both inspire strong emotions. Both are embedded deep in our memory. This has nothing to do with David Packard, but I found an image in The Economist that illustrates a key property of iconic images. Because they are so familiar— etched into our brains, so to speak— they can be modified or distorted for all sorts of purposes, from political commentary to just plain fun. 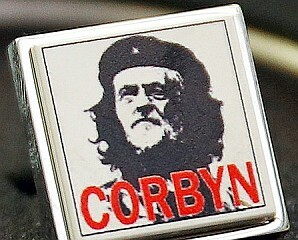 The face belongs to controversial UK Labor party leader Jeremy Corbyn. The stars are a coincidence— or are they? 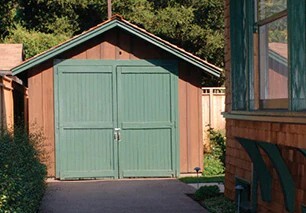 The image of David Packard in the attic captures a certain spirit of technical exploration and experimentation. It deserves to become iconic. About the author— Norman Koren grew up in Rochester, NY, studied physics at Brown and Wayne State Universities, and worked 34 years in magnetic recording technology in the Boston and Philadelphia areas, Silicon Valley, San Diego, and finally Louisville, CO. He became interested in photography at the age of twelve and has pursued it ever since. In 2003, at the age of sixty (just 66 years after the founding of Hewlett-Packard and 26 years after he visited a tiny Cupertino company where 20% of the employees were named “Steve”) he founded Imatest to develop software and techniques for measuring the quality of digital cameras and lenses. His wife, Louise Marks (who discovered the photo album), grew up in Niskayuna, NY (near Schenectady) and Los Altos, CA, attended U.C. 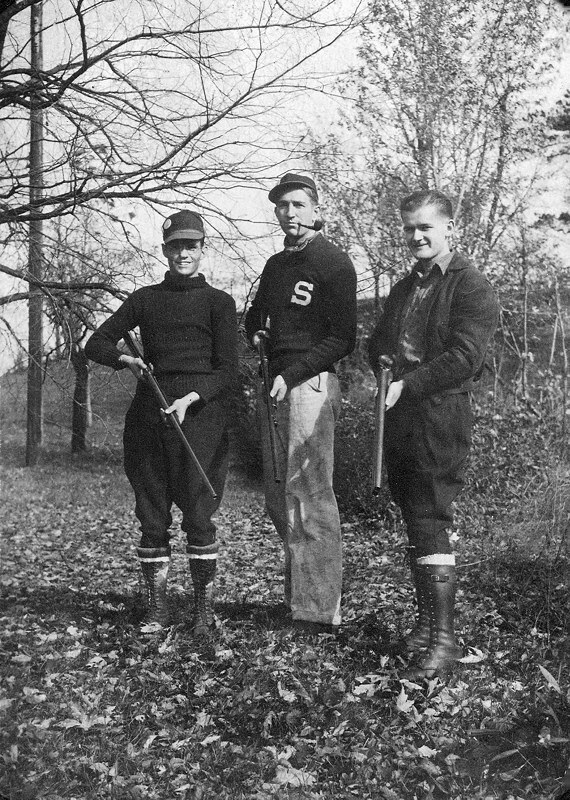 Berkeley and Boston University, and lived in several of the same places as Norman before they met in San Diego.